Today is “Great Upheaval Day (New Brunswick)”. Huh? Can you say, “A petition was submitted to the King 230 years ago that was ignored, so now I demand it be heard and answered or I’ll sue the existing monarch!”? Who knew that once a petition is filed it requires an answer regardless of time passing? Cool huh. 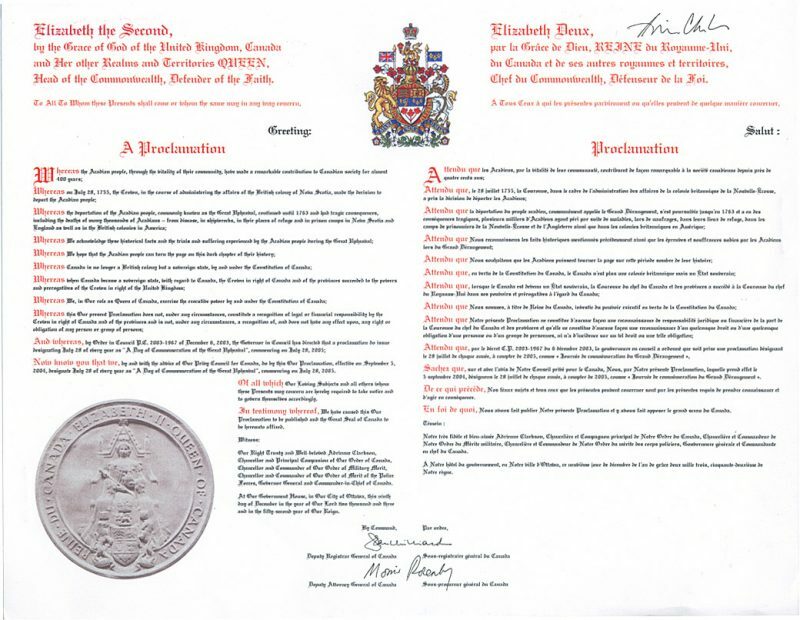 Welcome to the “The Royal Proclamation of 2003, formally known as Proclamation Designating 28 July of Every Year as “A Day of Commemoration of the Great Upheaval”, Commencing on 28 July 2005“.